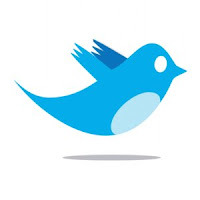 Today Twitter announced a slew of advancements to their incredibly popular microblogging service. At the core they are bringing many of features found in 3rd parts apps like Seesmic and Tweetdeck into their default web interface at twitter.com. This is especially interesting in light of Wired Magazine's pronouncement that the web was dead. What they were really saying, with some degree of accuracy (sort of), is that the web BROWSER is dead. Citing a migration of functionality from the web browser to dedicated standalone apps, whether they be on the desktop, tablet, or mobile device. I'm still a big fan of browser based apps, and I'm not sure they are going away any time soon. Either way read more about the new twitter.com features in this Mashable article.